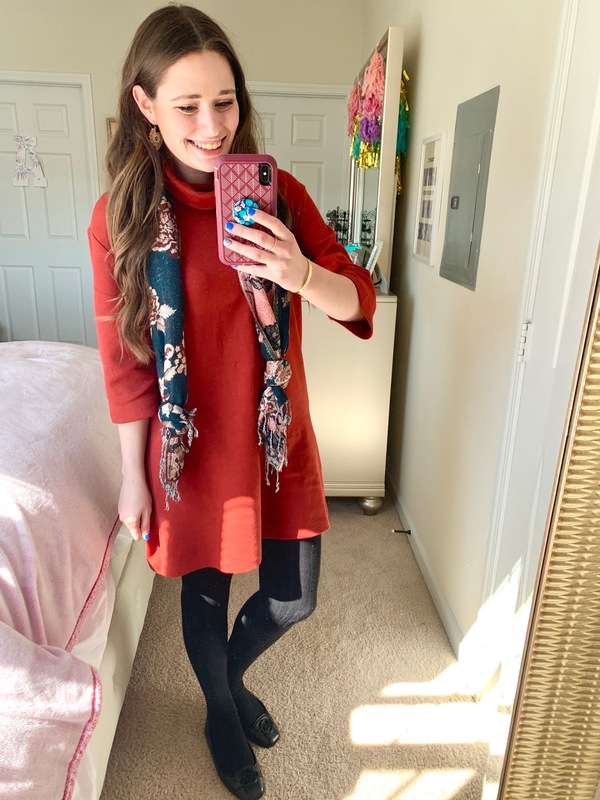 What I Wore to Work: March 2019. Happy Friday! Popping in quickly today to share my work outfits from the month of March. 😊 March was still a pretty chill month overall in Charlottesville, so you'll see that I wore tights with most dress/skirt outfits, and jeans a lot of days as well. I'm so excited for the weather to hopefully get a lot warmer in April, so that I can go back to my spring/summer uniform of wearing sundresses to work most days! 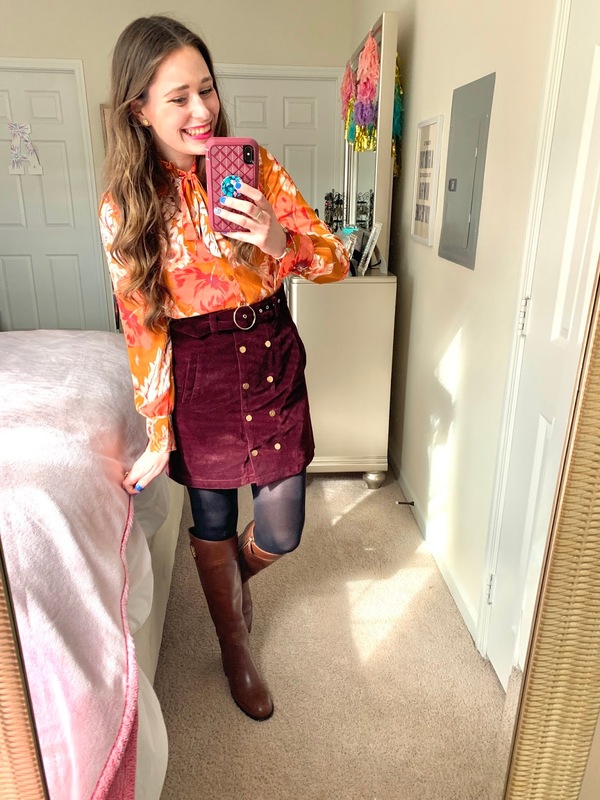 I don't typically share links for each item that I'm wearing since I wear a lot of older pieces from my closet to work- but if you're curious about where anything in this post is from, feel free to DM me on Instagram or email me, and I'm happy to find similar pieces for you! I share these snaps more for inspiration so that you can do similar looks from your own closet. How to do Black Tie on a Budget. TODAY ONLY Sale Alert - J. Crew Factory! Happy Tuesday! Popping in very quickly from my desk at work to share that J. Crew Factory is having an AMAZING online-only sale today! 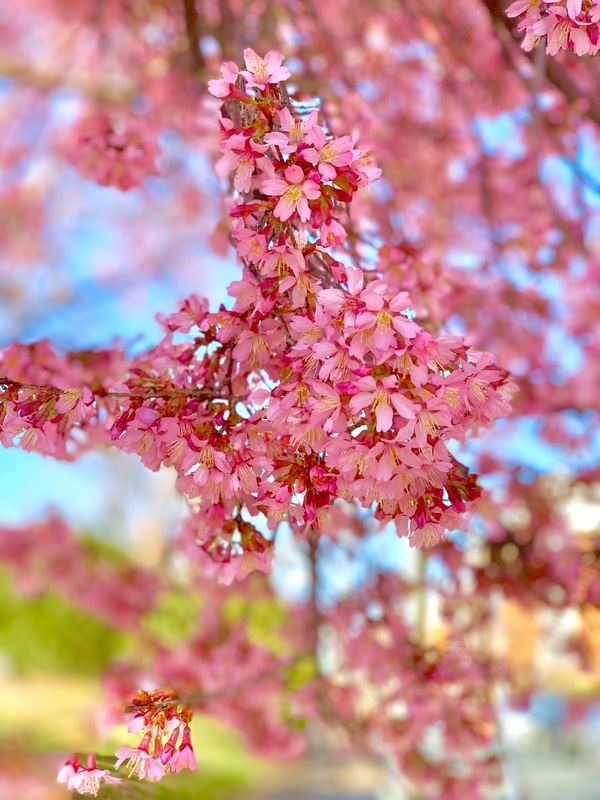 I don't often do entire blog posts about sales (excluding Lilly Pulitzer sales), but this is the perfect time to be building your spring wardrobe, so I had to share this one today. PACKING GUIDE: Early Spring Weekend in Nashville. Today after work I'm leaving for a weekend trip to Nashville with my parents! This will be my first trip to Music City. Everyone I know who has been there has loved it, so it's safe to say Nashville has been very hyped up for me! I'm excited to experience it for myself. I thought that I would share this packing guide in today's post so that y'all could preview my suitcase! Blue light glasses: I got my first pair (these)! I had been researching them for awhile, and was planning to buy some soon as I've started getting migraines again. I think it's due to the fact that my new radio studio has an extra computer monitor (from three to four), and looking at screens that early in the morning makes me prone to more migraines. I ended up getting contacted by DIFF to do a sponsored Instagram Story for a big sale that they're having this week, and one of the glasses that I was able to select was a blue light glasses style! That's what I went with, and I've been wearing them for computer work since Monday. I don't feel like two days is long enough to make a decision on if I like them or not, but I'm hoping for the best!! I did do some research about them and saw that scientifically, blue light glasses don't really "protect" your eyes, but a lot of people who wear them regularly for computer work say they have less of a chance of getting migraines while wearing them (which is why I got them). Let me know if y'all would like me to do a blog post review on these once it's been a little while! Borrowing a bridesmaids dress: As pictured above, I went to a Black Tie charity gala with some of my coworkers this weekend. I had originally bought a dress for the event, but after showing pictures of it to my mom and some friends, I decided against wearing it. Ideally I wanted to just return that one and not spend money on another dress- and that's exactly what I was able to do! 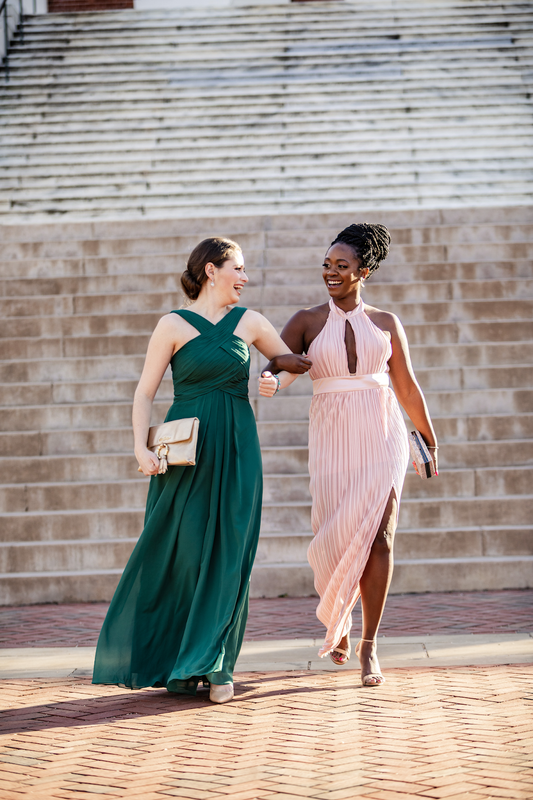 I borrowed a bridesmaid dress from my friend Eden, and it ended up being perfect. It got me thinking that should I have more formal occasions this year, I'm going to ask more friends if they have bridesmaid dresses I can wear. What a cheap and great way to get more use out of something that's probably just sitting in a girl's closet! Delilah goes to the vet: Last Thursday, I had to take Delilah to the vet. She was diagnosed with a UTI. 😢 Fortunately it was caught at a good time- the vet thinks it'll be treated easily with medicine. But it was so tough to see her at the vet. They had to draw her blood as well as give her a shot- I think watching it I was doing worse than she was. I have no idea how parents can do okay when they bring sick children to the doctor, I was almost a wreck and she's just my cat! Last weekend: I went to barre class Saturday morning, and then headed to the library to get some blog work done! Saturday evening was the Hometown Charlottesville Grand Gala, which benefitted The Center (Charlottesville's senior center). My company was a media sponsor, so I attended with coworkers! (My friend Alicia was my plus one.) On Sunday, I went to church, shot photos for a fun campaign that will be on the blog soon, and ended the day with my friend Amy's baby shower! Her sister Emily planned it, and did a wonderful job! Purchases: Anyone else feel like they had a ton of birthdays and showers to buy gifts for this month? No fun shopping for me this week- just gifts for those with occasions to celebrate. Hoping to do some shopping in Nashville though! This little ruffled dress is adorable, and comes in both baby pink and black! Kate from Lonestar Southern shared this darling pink dress on her blog last week- it's so cute! I don't currently have an occasion to wear this for, but I'm still tempted to get it. Is it bad to share a third dress in a row? Haha! I love the beautiful blue color and pretty pattern on this one. This is such a cute peplum striped shirt! If you're looking for a comfortable but cute spring sandal, this would be it! This brand makes the comfiest sandals (I wore them exclusively when I used to work in retail). Recipe of the week: The Best Burger Recipe from Our Savory Life. I had a craving for burgers a few days ago (which I don't often make at home). I used this recipe to season the ground beef! I did omit the Worcestershire sauce because I'm not crazy about the taste of that in meat, but I used the seasonings and butter as this recipe directs! They were so tasty that I ate them just as patties- no bun or cheese needed. Song of the week: Dancing With a Stranger by Sam Smith ft. Normani. Get this- I'm not really a fan of other music by Sam Smith or Fifth Harmony/Normani. But this song? LOVE! These two sound great together. Diary of a Debutante - Love these tips from Stephanie to have a more relaxing bath time experience! A Mix of Min - Mindy shared a heartfelt blog post about how she developed her interest in running- I loved reading! I'm Fixin to Blog - Meghan shared her ultimate North Carolina bucket list! I enjoyed reminiscing on some of these things that I've done, and look forward to hopefully doing more someday. Early Spring PR Packages Review. 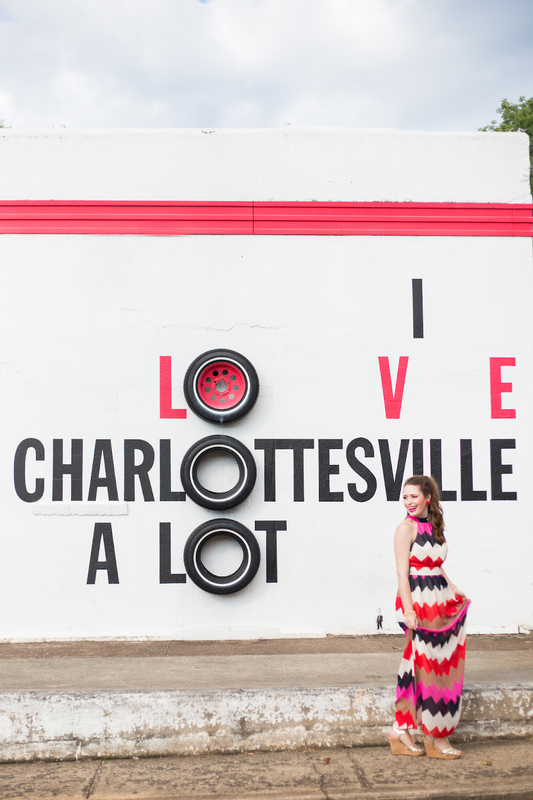 ONE YEAR in Charlottesville - Reflecting on my First Year. 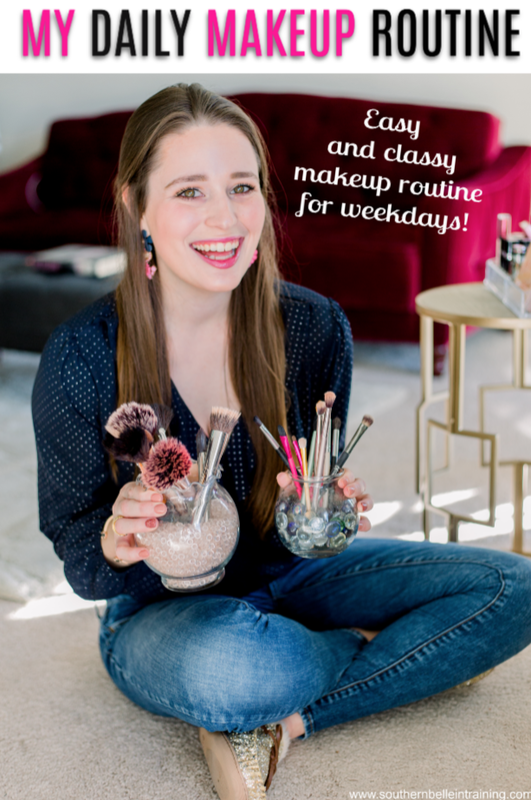 I always love reading daily routine or "day in my life" posts from other bloggers, so I thought sharing my own current weekday schedule would be a fun way to wrap up my March Tuesday blog post series on routines! Since I became a morning radio host at the end of last year, my weekday routine as changed a lot. I realize that I don't have a normal schedule at all, but I think now that I'm a few months into it I'm pretty settled and able to make the most of it! One.Year.In.CHARLOTTESVILLE!!! Wow. I feel like a year ago today I blinked... and then woke up and here we are. 365 days of being a Virginian. 365 days since I became a Southern Belle in Training for the second time. 365 days of true joy, and peace in my heart and soul. 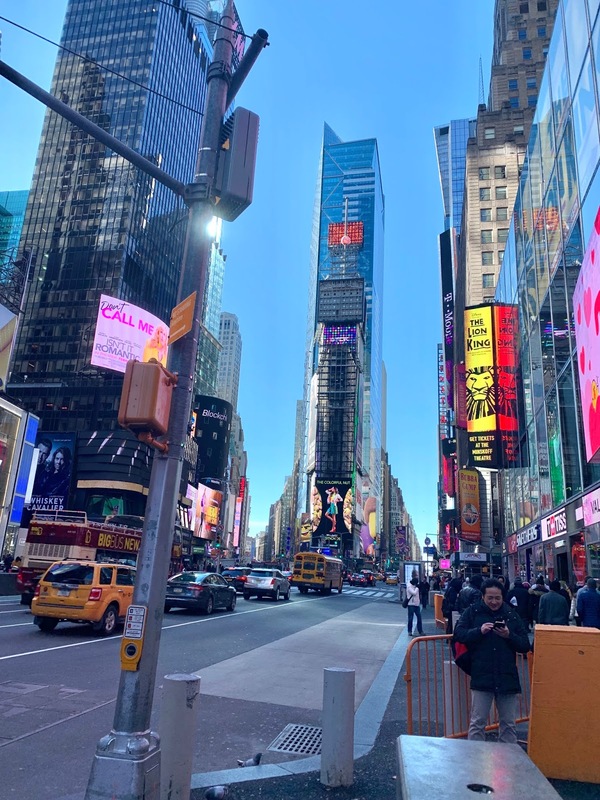 Obviously today's blog post had to be a tribute to my first year in the city that I'm glad to call my home! How I Got Back into Fitness + Weekly Gym Routine. For my March Tuesday blog post series, we're talking all things routines! Last week, I shared my daily makeup routine for work and church. Today, I'm sharing the current fitness routine that I've had in place since September, and how I started finding different workouts that work for me! 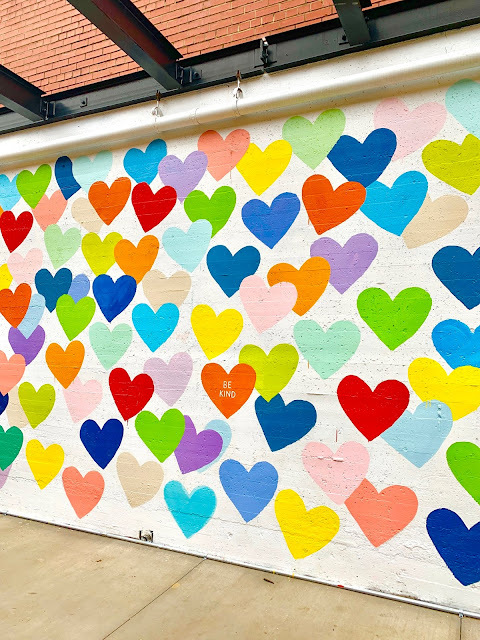 NYFW 2019: Colorful NYC Mural + Would I Go To NYFW Again Soon? Finishing my final outfit post from last month's New York trip on a very colorful note! Sharing my last outfit with you today, as well as my thoughts on if I'm going to Fashion Week again soon. I can't believe this is one of my last posts from NYFW! I've had so much fun recapping this trip and all of the Fashion Week events over the last few weeks. I'll be sharing the last outfit that I wore in Monday's post, and for today I'll be recapping what I did during the second and third days of NYFW! Moving prep: My current apartment lease ends at the end of summer, and I'm 99% sure I'll be MOVING! Don't worry- not out of Charlottesville though. 😊My rent will be increasing a bit if I were to re-sign a lease in my current place, so I've started looking around at other apartments in Charlottesville. I'm also planning to move back in with a roommate or roommates (after what will be two and a half years of living alone when this current lease ends). While it will be a big change in my living situation coming at the end of summer, I'm also excited for what's ahead, and thankful that I've started looking at other apartments really early, to make it as stress-free as possible! I'm sure I'll do a longer blog post on this once it gets closer to moving time. Best Easter decorations ever: This is hands-down the best thing I found online this week! Interior designer Jennifer Houghton of Turtle Creek Lane goes all out with Easter decorations in her family's beautiful home! Southern Living made a video about her gorgeous decor style that I absolutely adored watching. I just put up a few Easter decorations in my place- I hope someday I can do some over-the-top decor for my favorite holiday too! Stuck train: Did you hear about this news story from last week? Passengers and crew on an Amtrak train going from Washington state to California were stranded for almost two days in rural Oregon after serious snow blocked the train from continuing on. How terrifying for them! Thankfully the train was finally able to start moving again and everyone was accounted for safely, but I'm just shocked that a news story like this didn't make bigger national news last week? I just think it's odd that the Kardashian drama made bigger national news than something serious like this- but I'm so glad everyone who was on board is okay! Hopefully Amtrak can do something serious to compensate the passengers and crew. Last weekend: Nothing too exciting happened, but I felt very productive at the end of it! I got my grocery shopping done early and out of the way on Friday afternoon (might have to keep doing that instead of Sunday evenings!). On Saturday I went to barre class, toured a few apartments, and then I had a few friends and my radio co-host Marc over on Saturday night for fondue. On Sunday I went to church, got another workout in at the gym, and then spent the afternoon at the library with a friend, prepping blog posts for the week ahead. This weekend: Headed out of town for a girls' trip with seven friends from Charlottesville, and I am so excited about it!! I also took next Monday off of work to rest and recoup after getting back Sunday night, which will be much needed I'm sure. Purchases: Another week of just buying gifts! This spring I have a lot of birthdays, as well as some showers to buy for. This scalloped neck t-shirt is such a fun option for spring (under $25)! Speaking of scallops... I have the original version of this skirt in navy, but I think I NEED it in pink and scallops! I am absolutely dying over the newest Lilly print, Sweet Pea! Crossing my fingers so hard to see a good selection in this print in the next After Party Sale. Red is definitely a color that I need to add more of to my closet! I love this elegant red maxi dress, and it's under $50! LOFT always has the most classic wrap dress styles, and this new arrival is no exception! Song of the week: Inima Nebuna by DJ Project ft. Mira. Y'all know that outside of my day job in radio, I actually listen to a lot of international music in my free time! Eastern European pop is my favorite, and thanks to Spotify I just recently discovered Romanian group DJ Project. This new song of theirs featuring Mira (another Romanian artist) is really good! Olivia Rink - Olivia shared a very heartfelt post called "Confessions of a Workaholic," and I felt like I could relate so much to it! Brighton The Day - Bright talked about productive things to do on Sunday afternoons to set yourself up for a productive week- I definitely tried a couple this weekend. Extra Petite - Jean styled two classic and chic business casual looks with tights- perfect for the winter/spring transition season. This blog post has been a long time coming... as in I should've posted something like this years ago! Better late than never, right? Today I'm sharing my daily makeup routine, which is what I do for work everyday, and church on Sundays. 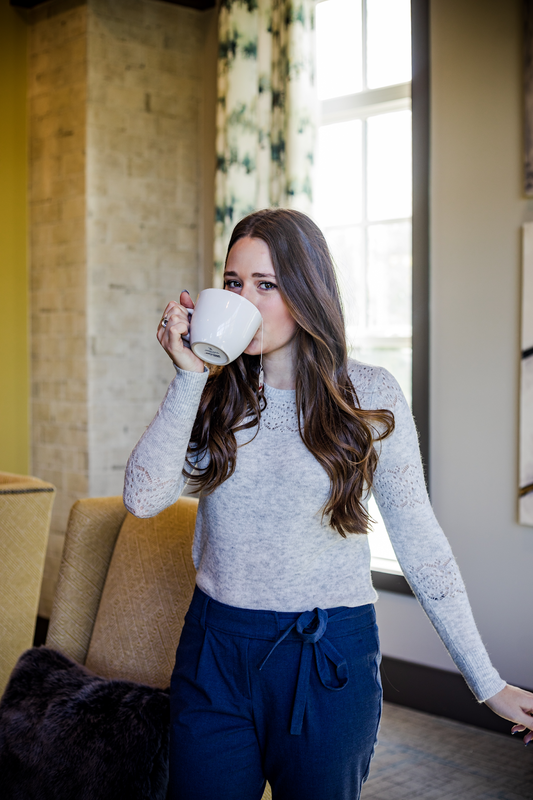 My Tuesday blog post series for March focuses on different types of routines, and I thought this would be a fun one to start with, since it's been so requested over the years! I apologize in advance for the million photos in this post, but I wanted to really show the detail of how I apply everything. Affordable & Glamorous Sequin Outfit. Even though Fashion Week is associated with expensive designer clothing pieces, I didn't let that deter me from my favorite affordable retailers when I was packing my outfits! Today's blog post features my very favorite outfit that I wore for NYFW, and you won't believe the price point. 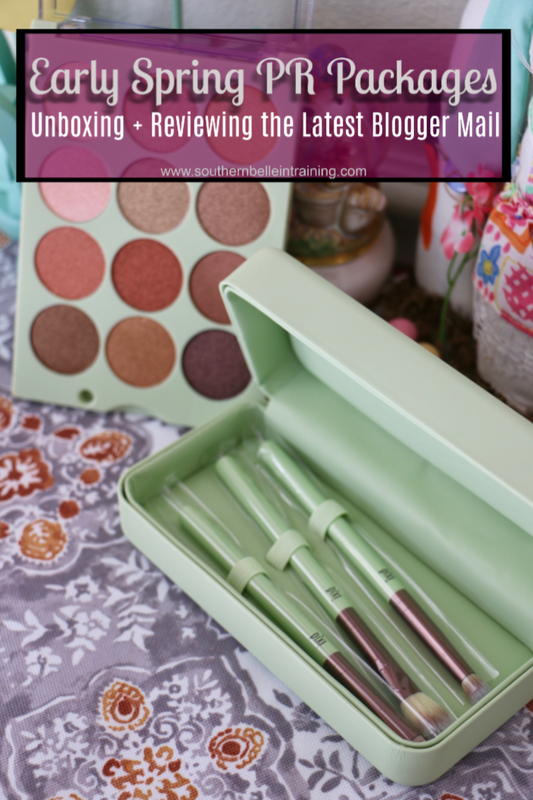 ALSO- sharing a fun spring themed Rafflecopter giveaway at the end of this post that I'm participating in with some other bloggers, don't miss your chance to enter!